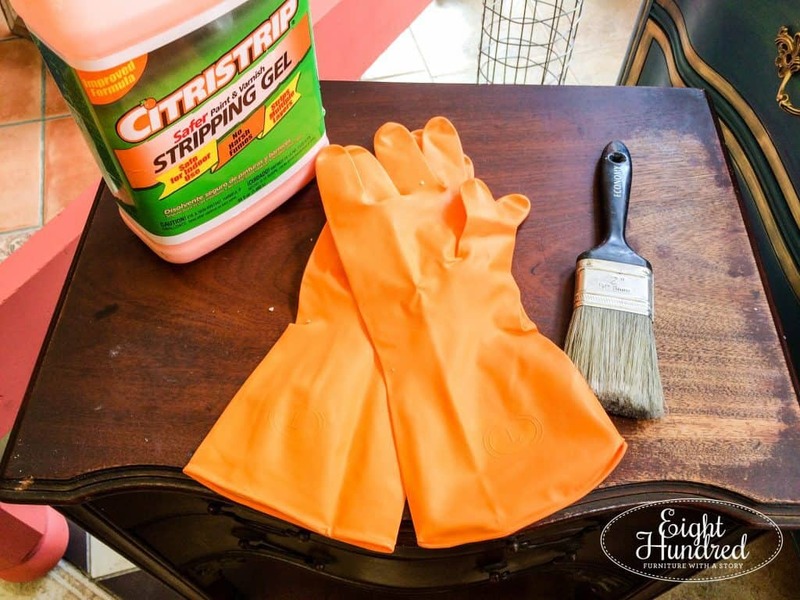 Over the years, I have experimented with all sorts of products, paints, strippers, topcoats, brushes, and other materials required for furniture makeovers. I’ve loved some and haven’t cared for others. I thought it would be nice to share the products that I use on an everyday basis. I’ve cleverly dubbed them as my everyday’s. This is not a sponsored post. No one is paying me to mention the products below. and my recommendations are based upon my own personal experience. P.S. – The reason why I put disclaimers like this in some of my posts is so you know my motivation behind my writing. I’m not trying to sell you a particular product and I don’t have an agenda. I simply want to share what’s worked for me so you can fine tune your everyday’s. Now that all that is out of the way, let’s dive in! When I first moved into my 800 square foot apartment, I quickly learned that I was going to need my own set of tools. I didn’t have a ton of money to spend so I went to the Kmart that’s right down the street from my complex. Sitting on a shelf, in all of its glory, was my current tool kit. You better believe I got a pink one! Actually, this bag is more pink than the one I have. Mine is more of a purply-pink, but I was all about it! This tool kit came with everything – hammer, screwdriver with tons of attachment heads, pliers, wrench, alan wrenches, tape measure, teeny tiny screwdrivers, a level, safety glasses, etc. Best of all, it was less than $30! I’ve had my tool kit for 3 years now and it’s still going strong. I use it all the time and I take it with me whenever I do commissioned work. The bag is smaller than a purse and it’s not heavy. 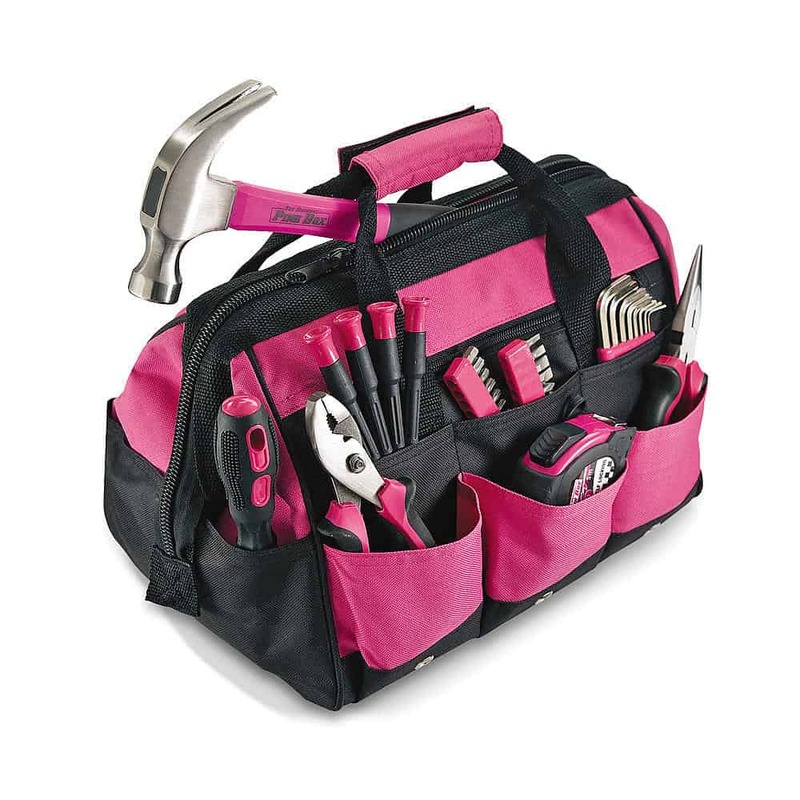 The other aspect that I love about this tool kit is the fact that I got it from Kmart. If we’re being honest here, I didn’t expect to find something that would have lasted this long from this store. Usually if something is inexpensive (especially when it comes to tools) you’d expect it to be of poor quality. This is totally NOT the case with my tool set. You could have told me it was from Home Depot and I wouldn’t have been any wiser. Since we’re on the topic of power tools, I’ll share my cordless drill next. 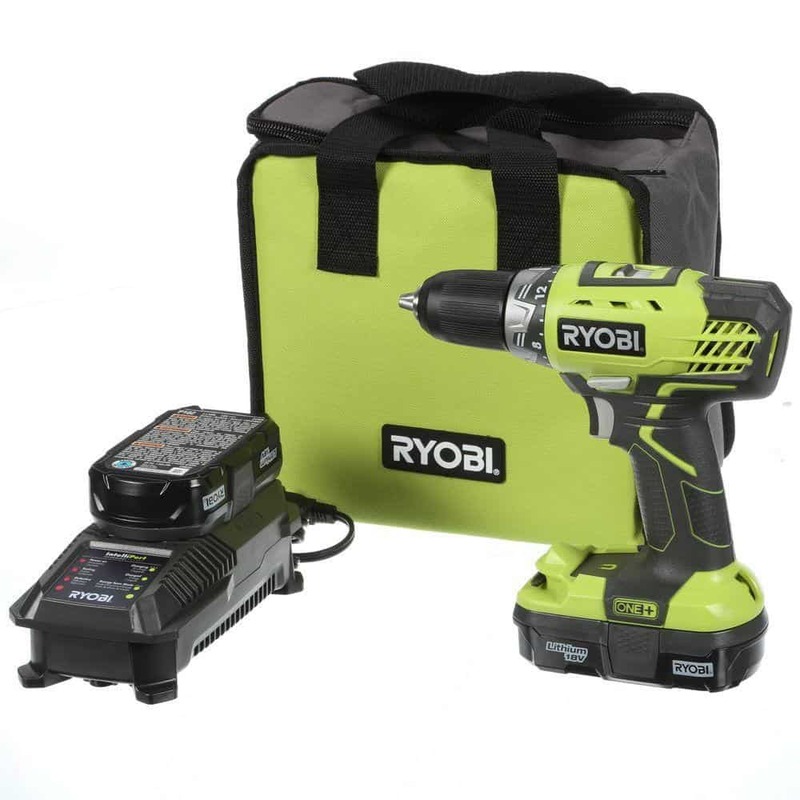 I have a Ryobi 18V cordless drill. It came with a bag, a box of drill bits, an extra battery, and a battery charger. My charger looks slightly different than the one in the photo, but this is basically my drill. When I’m looking at any sort of power tool, I want it to be something I can handle. I’m not the kind of girl who has to prove she can handle tools the way that men can. I will freely admit that I don’t want to use machinery that is too big or heavy for me. I would rather feel comfortable and safe than prove a point. Plus, I work out of my apartment. I don’t have a garage or a basement, so I need to store everything in 830 square feet (once Marc and I got married, I moved out of my original 800 square foot place and we got the next largest unit together). My tools can’t be big and bulky because they have to fit neatly underneath of our TV table. You can see a glimpse of it behind this trunk I was working on. I have a curtain that hides everything, but there’s a lot back there! In addition to my drill’s compact-ness, it holds a charge longer than anything I’ve ever owned! I can go for months not using it, pick it up one day, and it works. The lithium batteries that come with it hold a charge like a champ! I use these practically everyday. Marc has old t-shirts that he has gifted to me, but nothing beats a sturdy cotton rag when it comes to wiping wax away, polishing, cleaning, or wiping stain away. 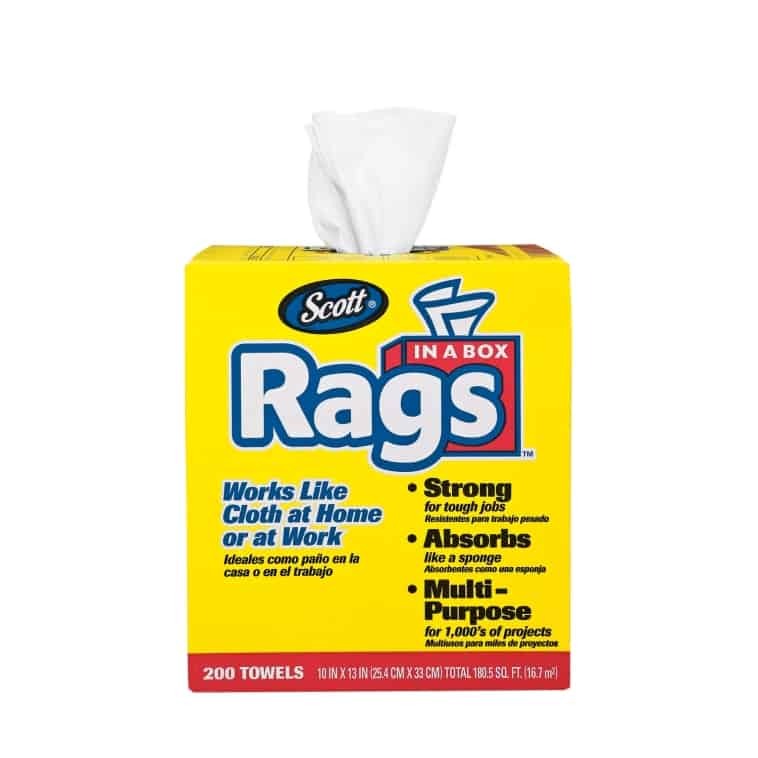 These boxes of rags can be found in any hardware store and usually run between $10 and $13. I use these for workshops and cut each rag in half. The squares are large, and I don’t wind up using the whole rag most of the time. If you cut them in half, you get 400 for less than $20. That’s a pretty good deal. I’ll go through roughly 1 box a month between stripping, waxing, and wiping away Hemp Oil. I’m going to be completely honest with you. Mineral Spirits weirded me out for a little bit. I thought it was some harsh chemical that was toxic and I needed to treat it like acid. Mineral Spirit is a petroleum based product and is a chemical solvent used for thinning paint, degreasing, and cleaning. Fun fact, it’s called “white spirit” in the United Kingdom. 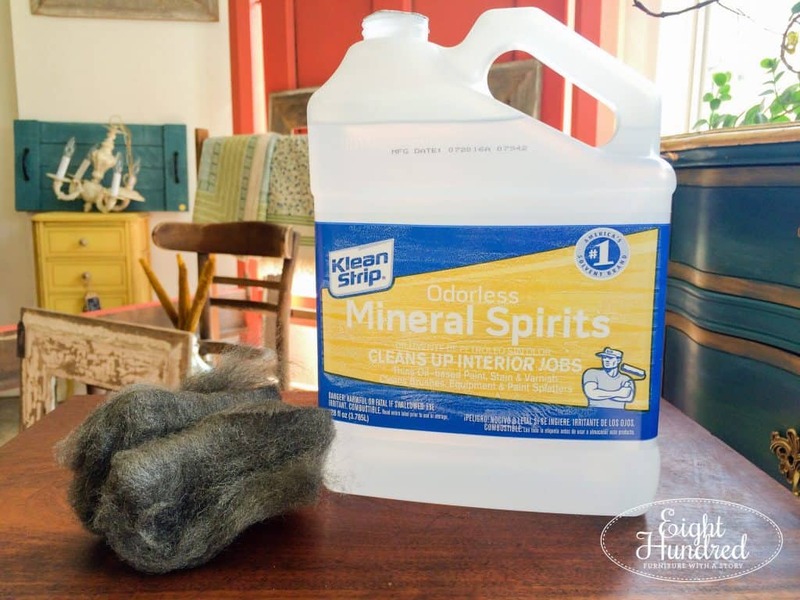 You can buy Mineral Spirits in the paint aisle and I use it for cleaning my furniture prior to painting and cleaning up wood surfaces after they’ve been stripped. 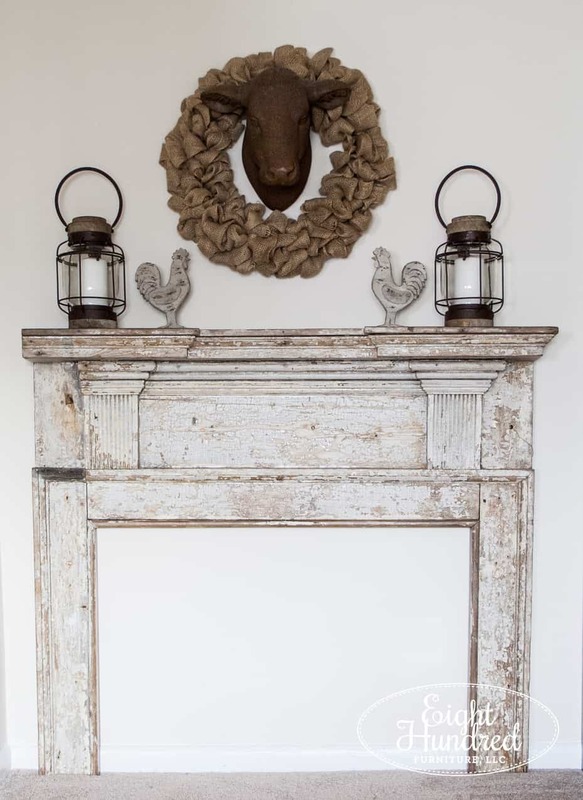 You can also add a few splashes to Annie Sloan’s Dark Wax to make a glaze! 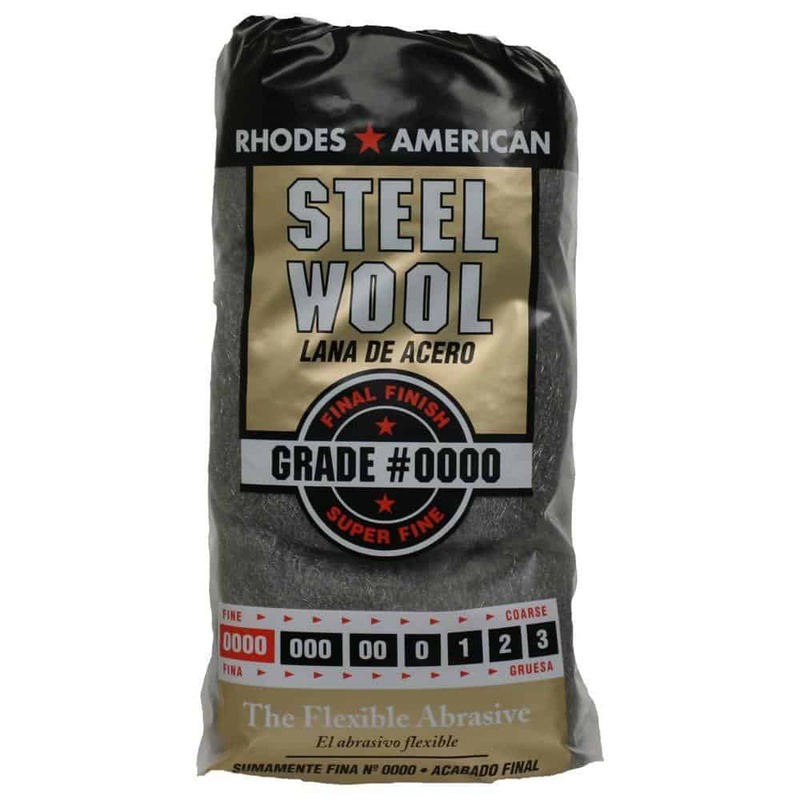 I have two types of abrasives that I use for sanding and stripping – steel wool and sandpaper. Let’s start with the steel wool. As you can see on the bag in the photo above, there are different grades of steel wool. 0000 is the finest and 3 is the coarsest. I use 0000 grade steel wool to clean wood tops after I’ve stripped them. 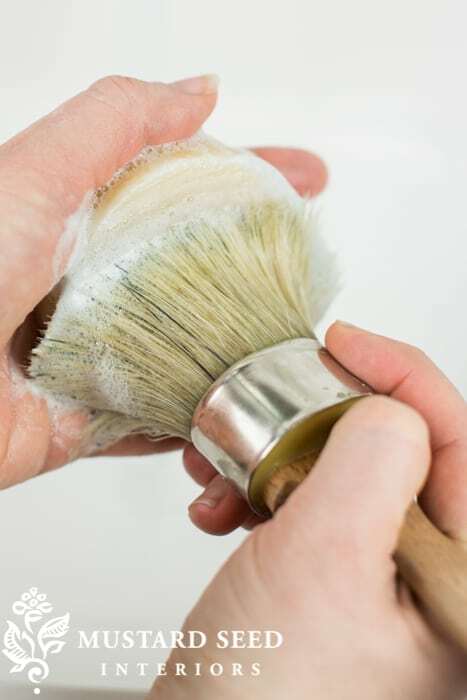 This process cleans all of the gunk and goo off of the surface and the fine fibers of the steel wool gently scrubs the surface to eliminate that sticky feeling after stripping. Scraping with a putty knife doesn’t quite get rid of everything, especially if you’re working on oak. When it comes to sandpaper, I buy orbital sanding pads. I figure if I’m going to buy sandpaper, I should be able to use it on my power sander or by hand. I’ve got every grit from 60 – 220 and I buy them in the biggest size possible. I use sandpaper on every project and the grit I need varies from one piece to another. 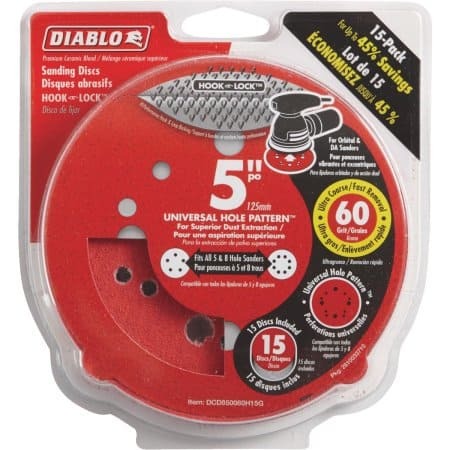 I also like folding these discs in half and using them to hand sand. I don’t prefer using a square piece of sandpaper because when you fold it in half, sometimes it crinkles and won’t stay folded as I work. These pads are thick and sturdy and they never unfold on me. I have two really big ones I bought from Home Depot. One is more of a rectangle and the other is a big square. I can fold them and unfold them to cover as much carpet as I need. I also like how absorbent they are, so when I do spill paint, it won’t bleed through to the carpet below. Plus, I’ve used them to make curtains so they double as fabric too! They’re easy to pop in the wash and can be used over and over again as you need. 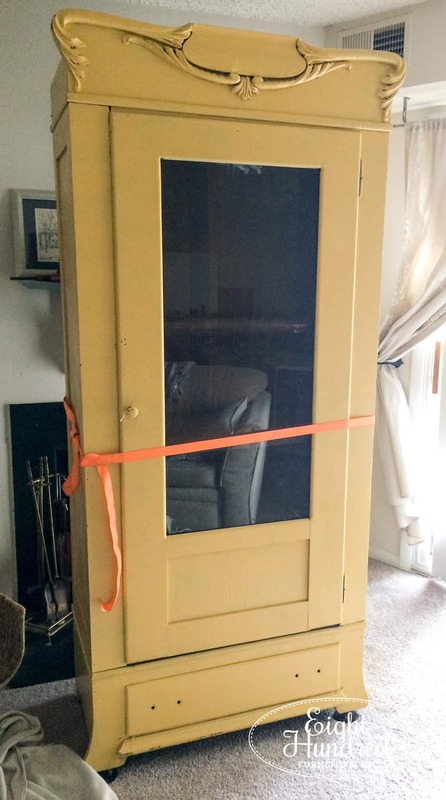 You can see my drop cloth curtains off to the side in this photo of my yellow cupboard (which is almost done by the way). 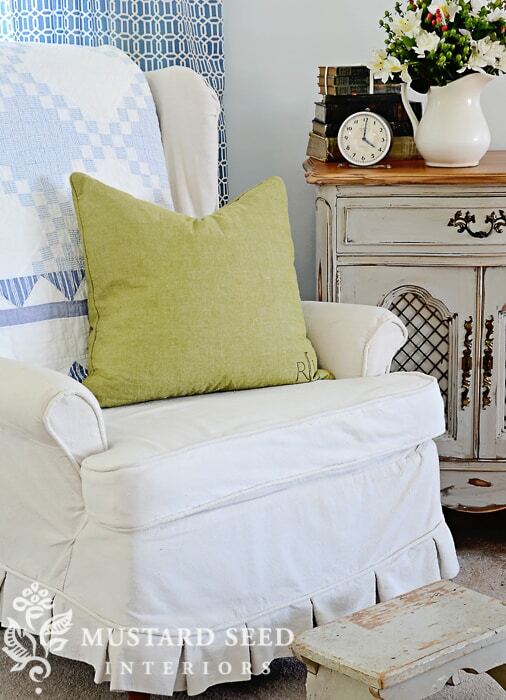 I know that Marian used them for slipcovers for years until she was able to afford antique linens. Whenever I refinish wood surfaces, I use the same products 99.9% of the time. 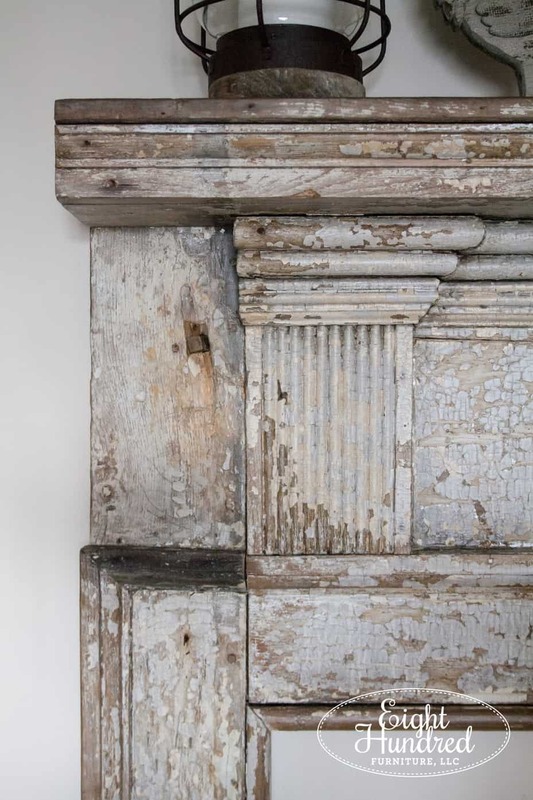 Sometimes I deviate and use Milk Paint products, but my absolute favorite trio are CitriStrip, General Finishes Java Gel Stain, and General Finishes High Performance Topcoat. For the actual chemical stripping process, I never use anything except CitriStrip. It’s safe to use indoors, doesn’t burn your skin, and it smells like oranges. 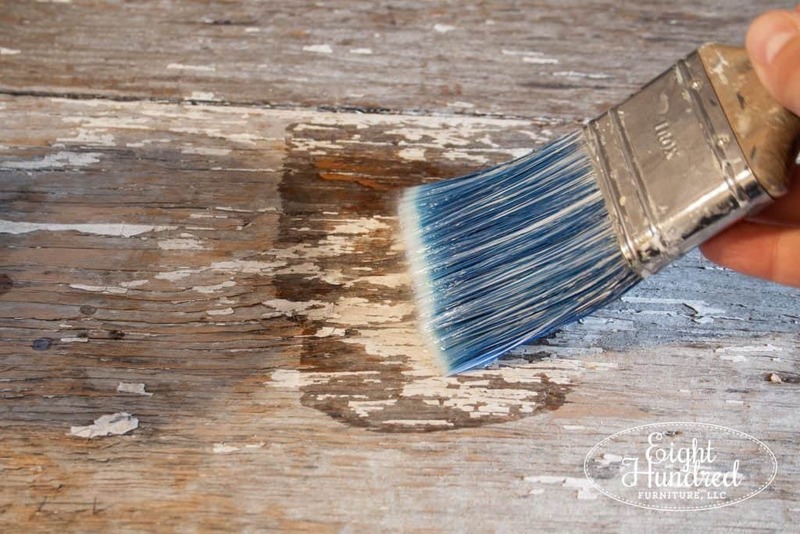 When it comes to staining my wood once it’s all stripped and cleaned, I absolutely adore using Java Gel Stain. The color is rich, deep and dark. 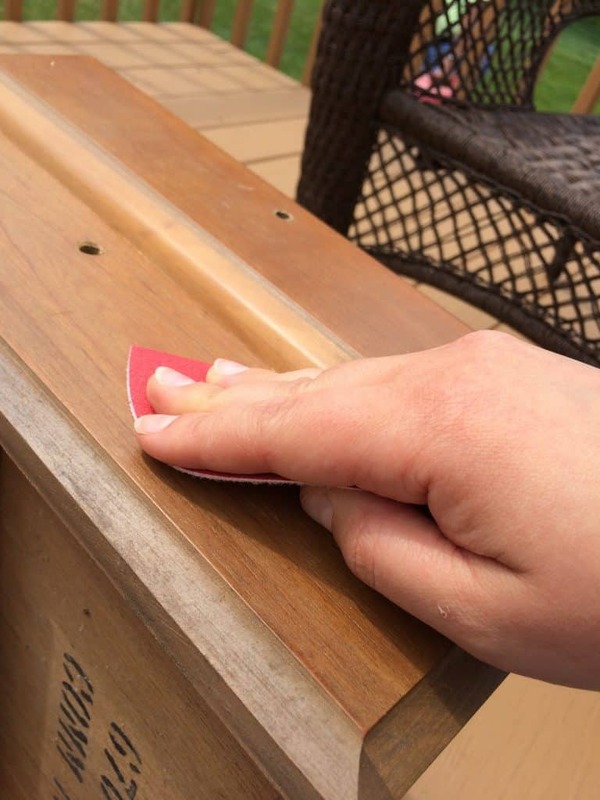 It covers over blemishes, scrapes, and other imperfections in your wood and it makes your wood surfaces look amazing. The longer you leave it on, the darker it gets. 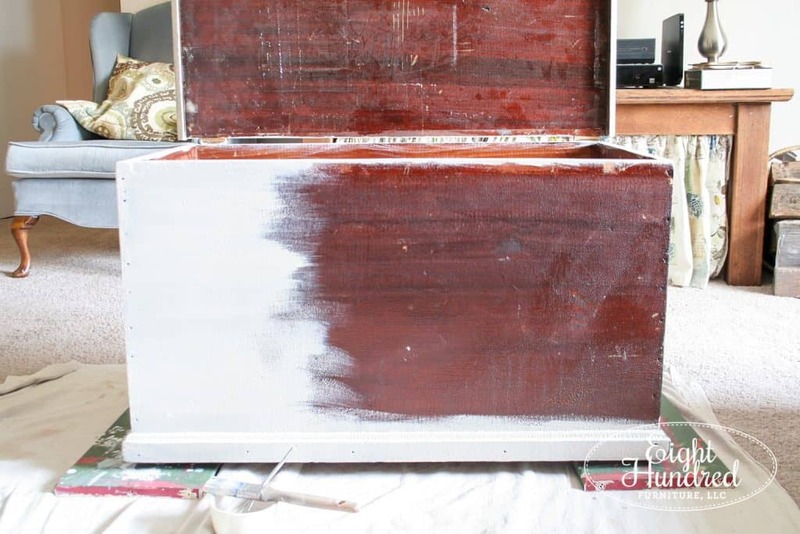 You can even apply multiple coats to make the color as dark as you like. Like I said, 99.9% of the tops that I have refinished are stained with Java Gel Stain. It doesn’t smell like other stains and the consistency is a gel so it doesn’t drip and splash like other stains. 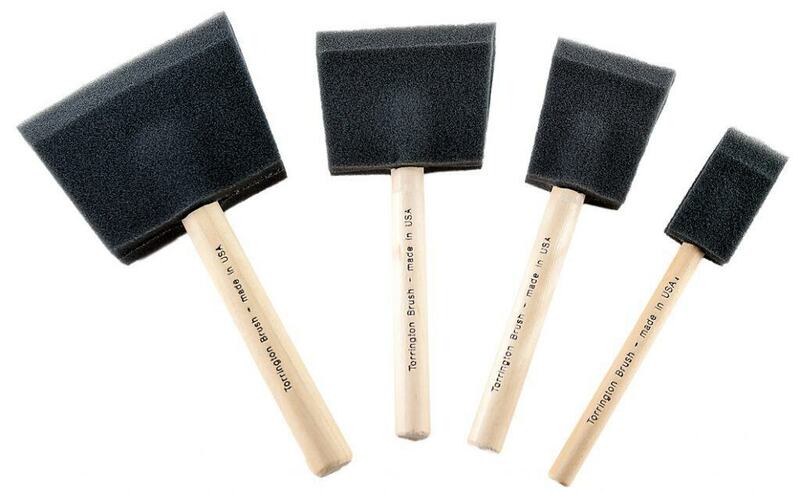 I apply mine with a foam applicator brush so I can get around corners and across flat surfaces quickly and easily. 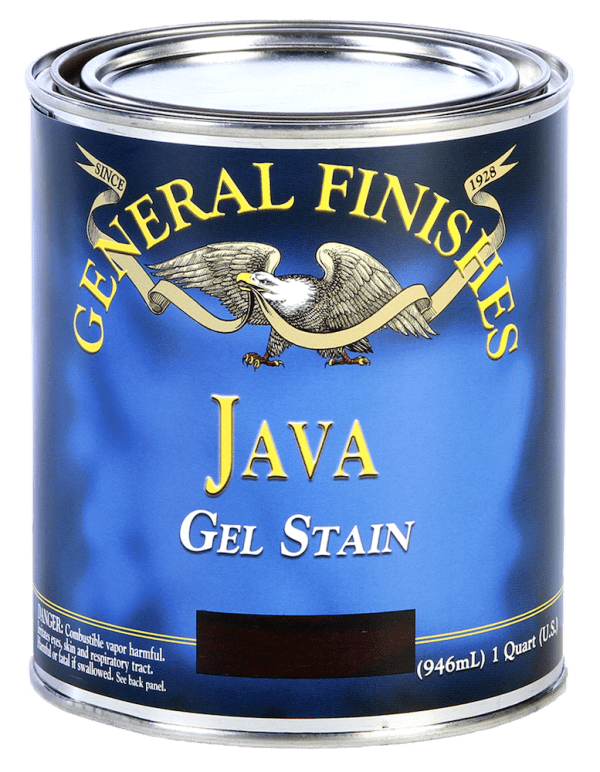 You can purchase Java Gel Stain from any of General Finishes retailers. 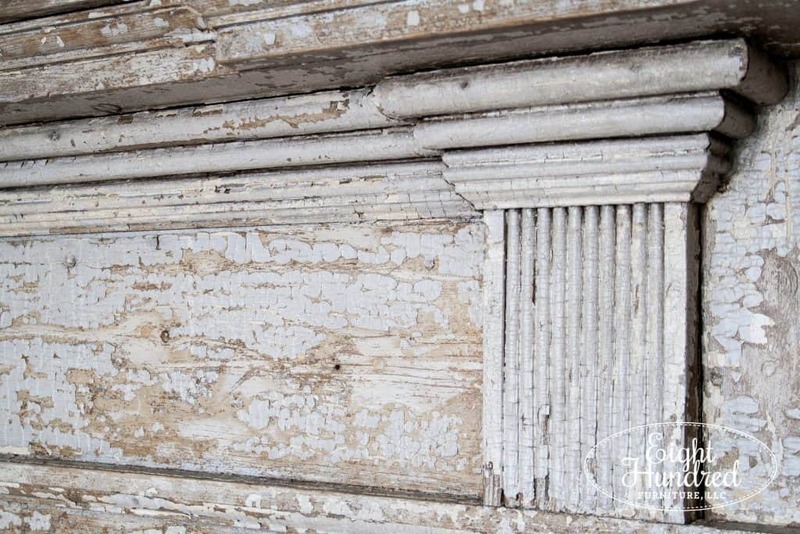 I know some businesses that carry decorative paints like Annie Sloan’s Chalk Paint, Miss Mustard Seed’s Milk Paint and others also carry General Finishes products. You might be able to order it online too. I can buy mine from my local Woodcraft store or from Consign-It Furniture in Kennett Square. I also get my foam brushes there but you can pick them up in craft stores too. Once I’ve stained wood with Java Gel, I always follow up with a topcoat of General Finishes High Performance Topcoat in either the Satin or Flat finish. This water-based topcoat is easy to apply and creates a flawless finish. 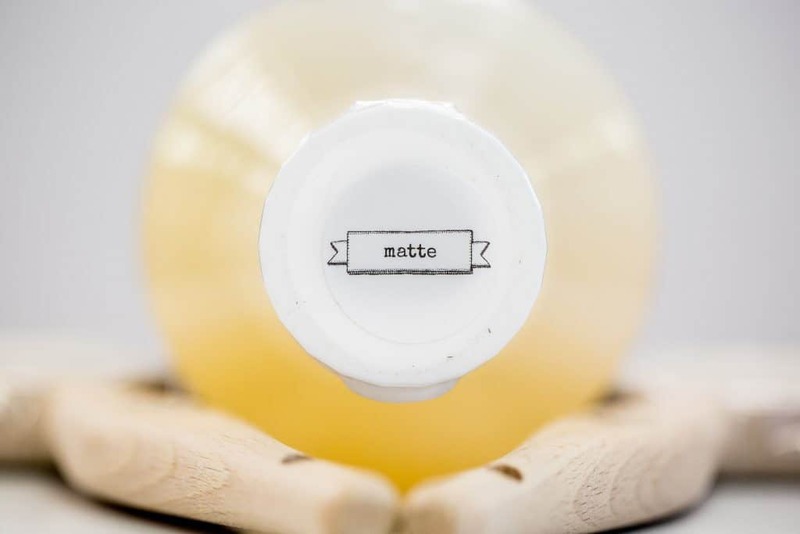 You can watch their YouTube videos to learn more about their products and how to apply them. 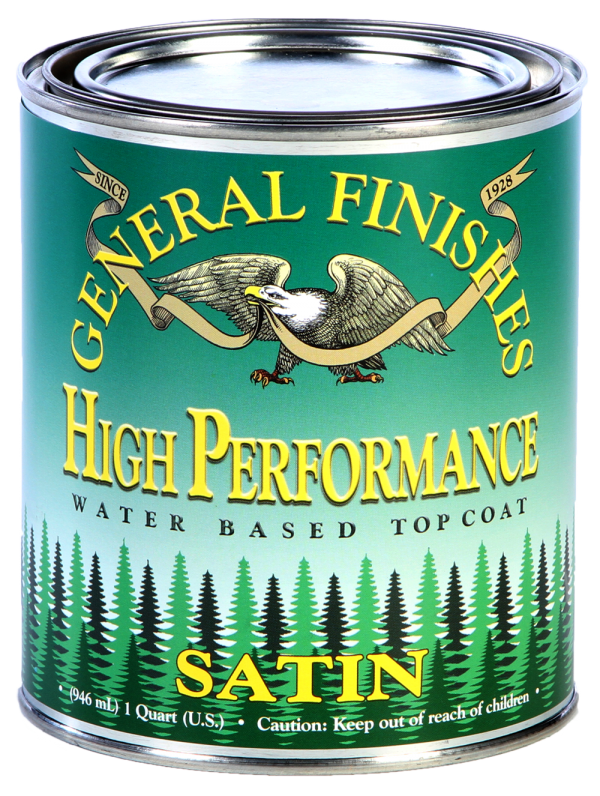 General Finishes is a US based company and all of their products are made here. If that’s something that’s important to you, you can feel good about knowing you’re buying American. I’ve stated multiple times in my blog posts that Hemp Oil is practically liquid gold and that I buy it by the gallon. 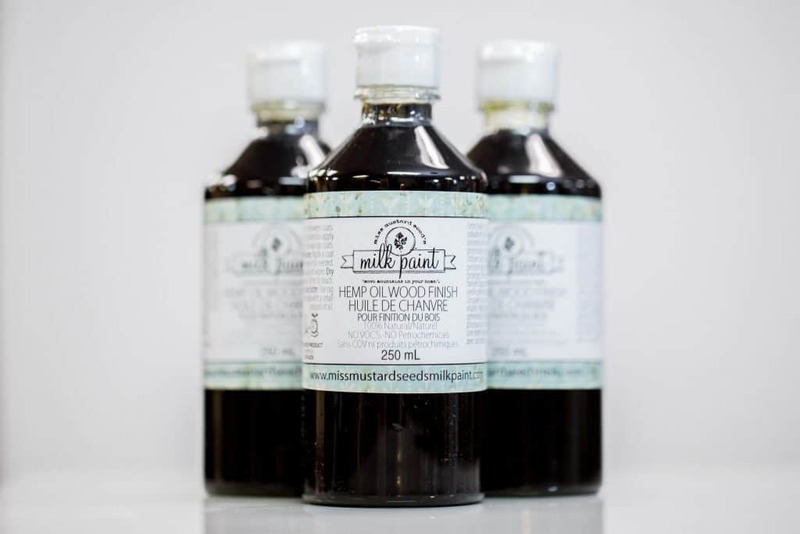 I’ve dedicated entire posts to the many uses of Hemp Oil and it still remains my absolute favorite product to use on my furniture pieces because of its versatility. 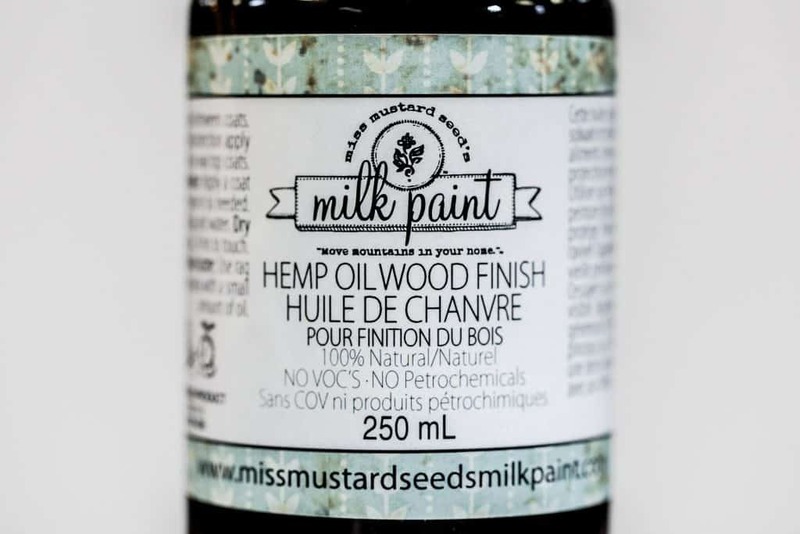 I use Hemp Oil as a topcoat on my Milk Painted pieces. I rub it on dried out drawers and wooden caster wheels. It works wonders on leather shoes and belts. It will revive galvanized metal, brass, iron, and any other metal surfaces like hinges, knobs, pulls, buckets, clocks, and watering cans. I couldn’t refinish furniture without this product. For real. Just about every piece I work on has Hemp Oil on it somewhere. It’s 100% natural and is processed from hemp seeds that are grown in Canada without the use of herbicides and pesticides. 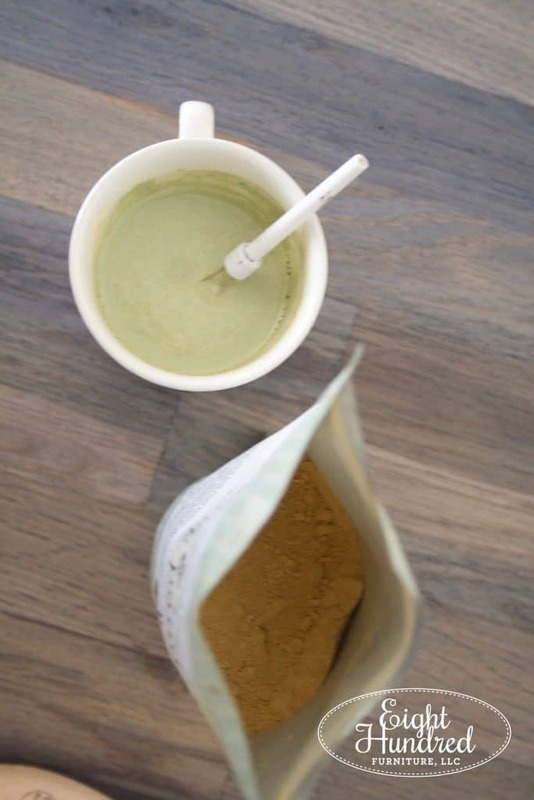 It’s solvent free, contains NO VOC’s, and has a faint earthy loamy smell. It actually smells like olive oil! It provides excellent protection as long as you give it time to fully and completely cure (30 days), just like any paint finish. I could sing the praises of Tough Coat all day long. 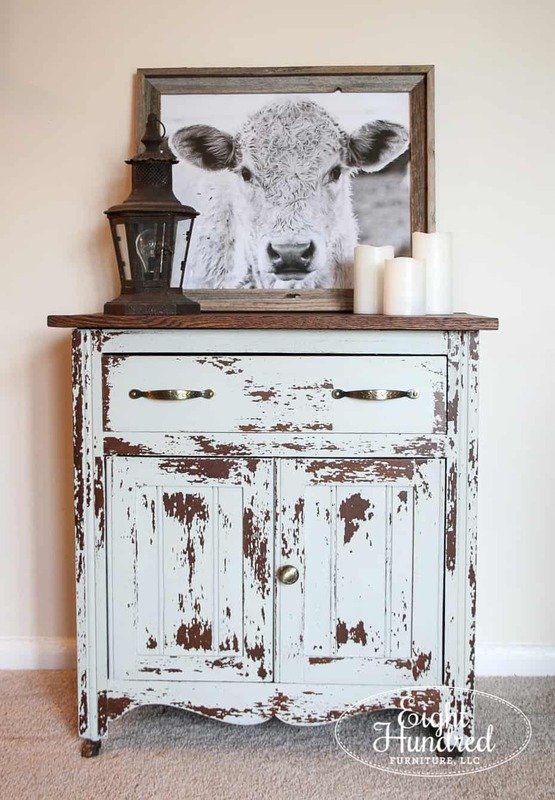 This product is the water-based sealer in the MMS Milk Paint line. It’s my go-to product for sealing in chipping paint. 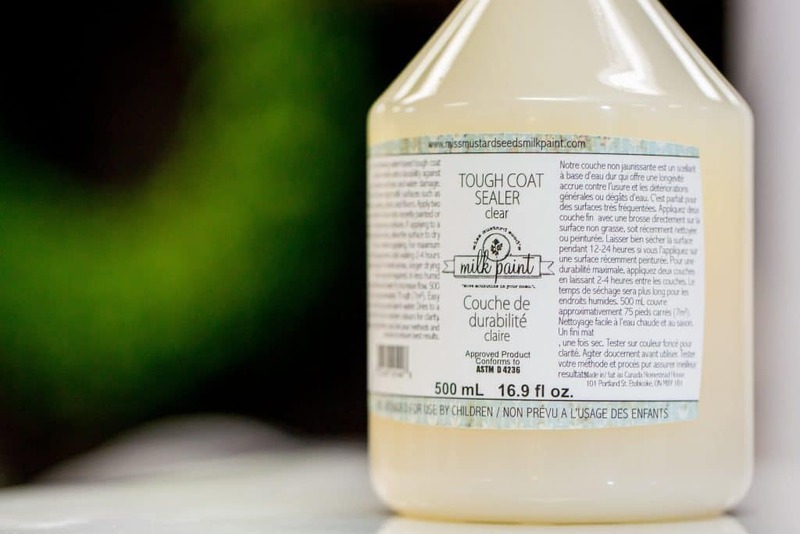 Tough Coat is sold by Miss Mustard Seed retailers and can be applied with a foam applicator brush or a regular paintbrush. Or I use it to seal pieces that have original paint that’s chipping off, like old windows, doors, benches, and fireplace mantles. Tough Coat has a faint odor, but it’s hardly noticeable. Coming from someone who hates using smelly products, it doesn’t bother me. 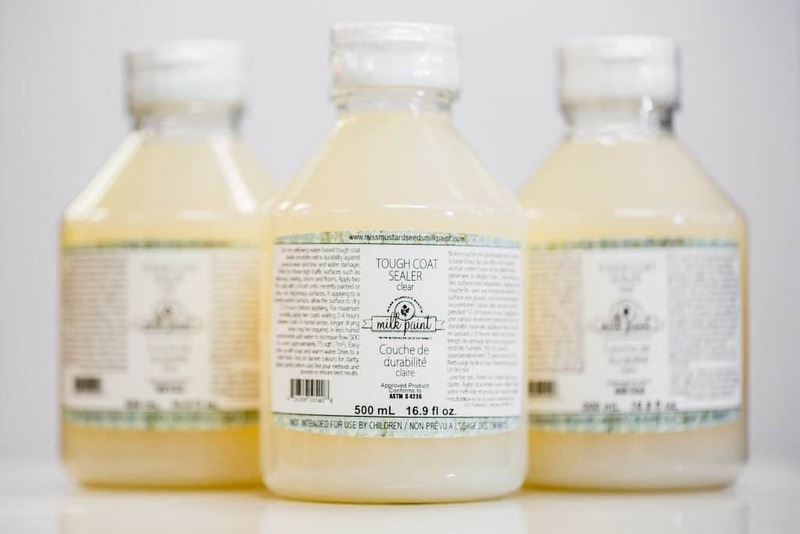 Tough Coat has a matte finish and it dries clear. It’s non-yellowing which means over time, it won’t turn yellow as it ages. If you do see any yellowing, it’s not from Tough Coat. Yellow pigments are being picked up in whatever paint lies beneath. Marian specifically brought on Tough Coat in the MMS Milk Paint line because it’s non-yellowing. This product only comes in 1 size. I wish it too was sold by the gallon, but for now, I buy it in packs of 6. I’ll go through a bottle roughly every month and a half. Remember, I paint furniture almost every day as my job, so your usage may be way less than mine. After I’ve finished painting, I have to clean everything from my brushes to my drop cloths to my paint containers. 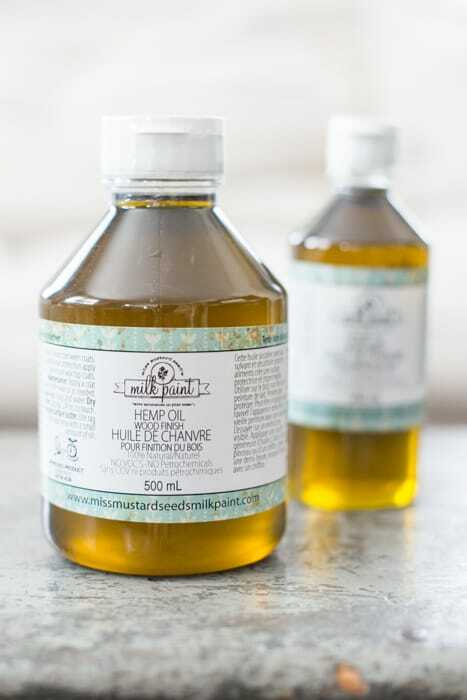 Most of the time, I use Miss Mustard Seed’s Milk Paint, which is easily cleaned up with soap and water. I personally use Dawn dish detergent to clean my paintbrushes and my ceramic/ironstone painting cups. I don’t like to use disposable materials if I can avoid it but I have to be careful how I wash my paint supplies out because I work out of my apartment. I can’t wash paint out with dishes in the sink. I also don’t want to wash old t-shirts that have mineral spirits on them in the same clothing washer we use for our jeans and sweaters. That’s why I use disposable materials for items that are oil-based or with paint thinners (foam applicator brushes and rags). 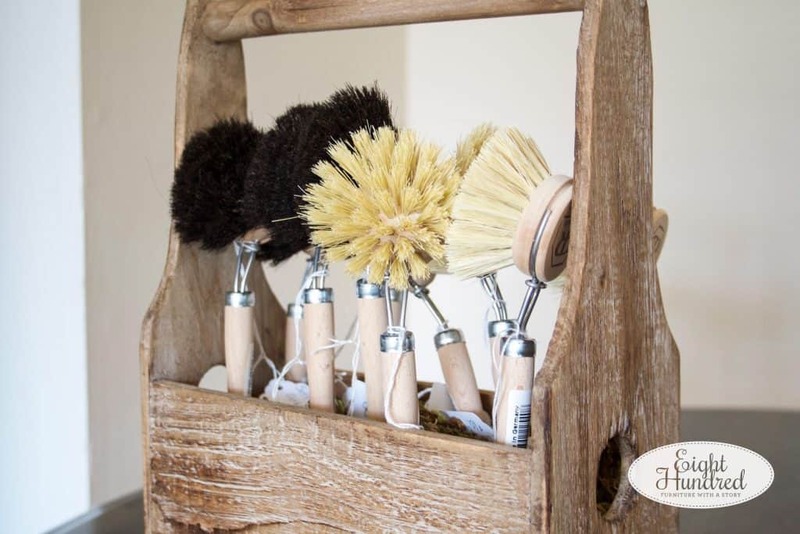 When it comes to washing out Milk Paint, I’m careful to keep our dishes out of the sink and I scour it out once I’m done but because Milk Paint only has 5 simple ingredients, my mind is a bit more at ease than it would be if I were using latex or even Chalk Paint. 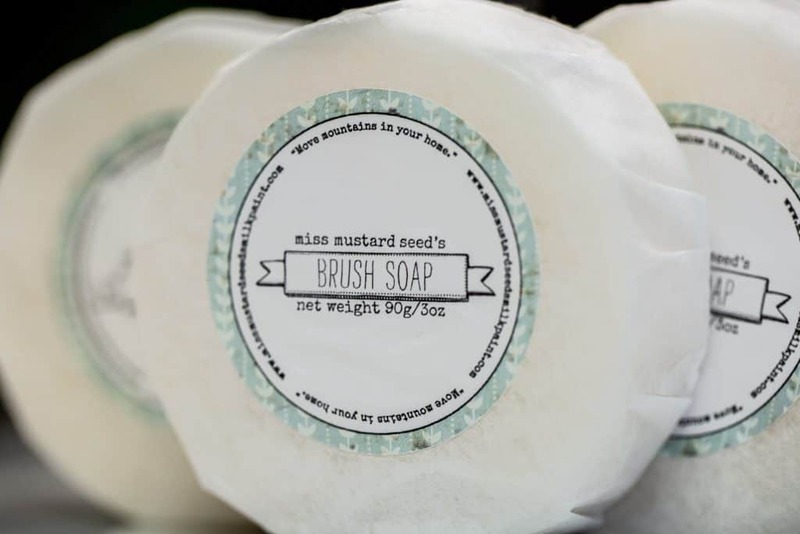 When I clean my brushes and cups, I use Dawn dish detergent to get all of the paint off and I follow up with Miss Mustard Seed’s Brush Soap. 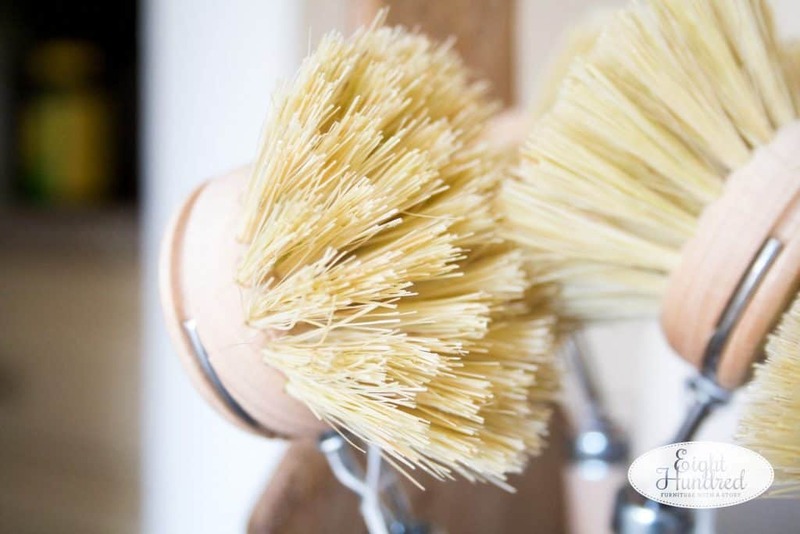 Brush soap acts as a conditioner for your synthetic and natural bristle brushes. My paintbrushes are the tools of my trade and I want them to last. Even if I only spent $15 on a brush, I want to make sure it lasts as long as possible. 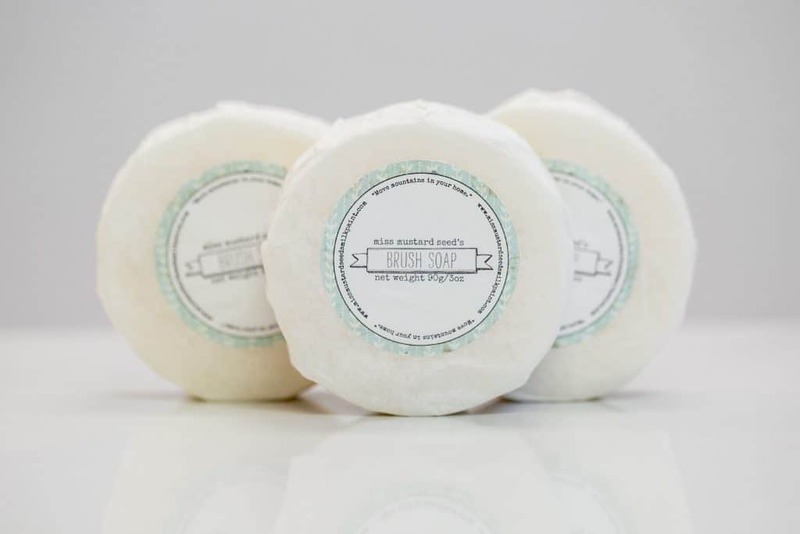 Using MMS Brush Soap ensures that my bristles will be conditioned and hydrated so they won’t split and fray. 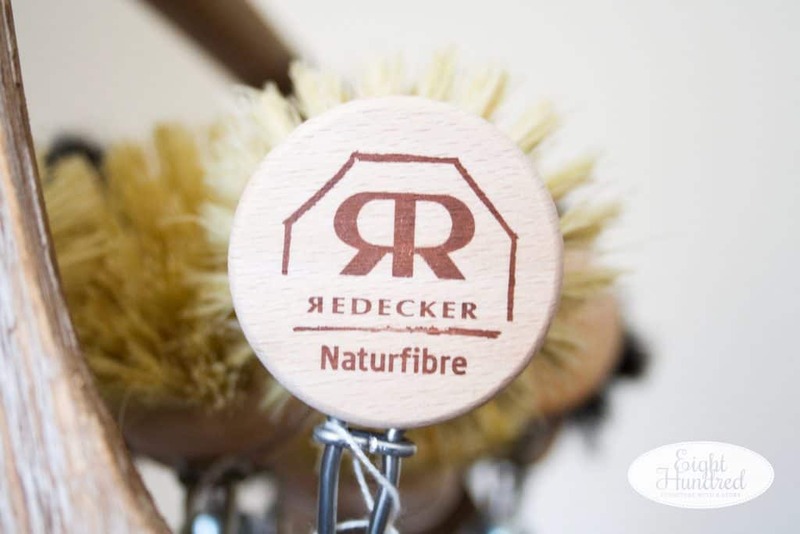 I also use my Redecker German Dish Brush to help me clean out my Milk Paint cups and brushes. Sometimes, Milk Paint can get caked on the sides of my cups, so I let it soak in hot water for about an hour and attack it with my firm bristled dish brush. I have one dedicated to paint and one strictly for dishes. Well, I feel like Oprah now after having shared my favorite products with you. I wish I could offer everyone a new car, but unless they’re matchbox-sized, you’re out of luck! 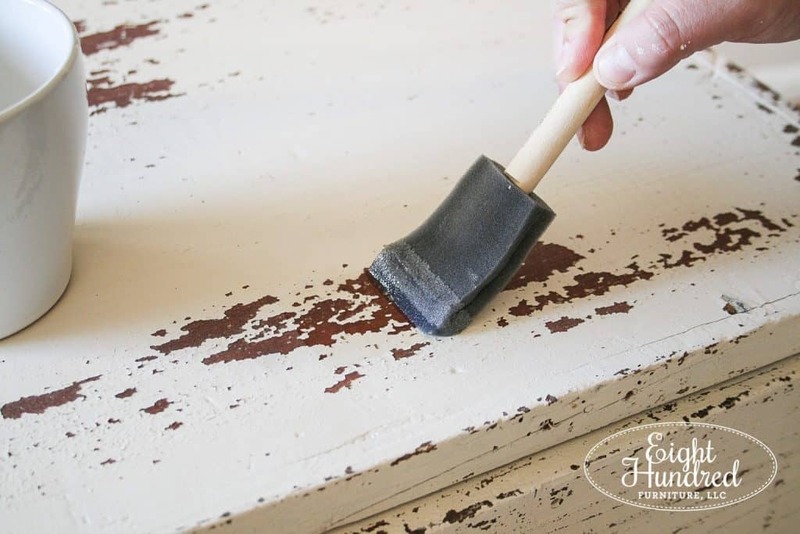 I hope you’re inspired to try some of my favorite everyday’s and you are curating your own list of go-to products that make your furniture painting as smooth as possible.